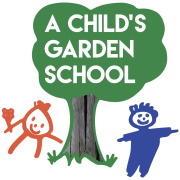 A Child’s Garden School is a non-profit preschool, serving children from 2 to 5 years of age. The school is a wonderful place to enhance the growth and development of a child. Children are encouraged to learn and explore in a loving environment. Our program is designed to nurture the cognitive, social-emotional and motor development of a child. We support the development of peer to peer relationships that nourish your child’s self concept. A Child’s Garden School sits on the campus of Church of our Saviour and is an outreach of the church’s ministries. It is a five day accredited pre-school offering a rich environment where each child can grow and develop at his or her own pace. The school is certified by the National Association of Episcopal Schools. In order to provide a quality program while maintaining an affordable tuition for local families, we engage in two major fundraisers per year, one of which is the Holiday Gala. Funds raised through our Silent Auction will be used to subsidize tuition and provide financial aid to qualifying families, as well as to purchase new equipment for the classrooms and outdoor areas. Would you recommend A Child's Garden School?